WHERE ARE YOUR DEADLIFTS GOING WRONG? The deadlift is a fundamental strength training move that’s hard to beat. But if you want to maximize the benefits you need to know where you could be going wrong – and it all comes down to your elbows. The deadlift is undoubtedly one of the best ways to target your posterior chain, which is all the muscles down the back of your body. 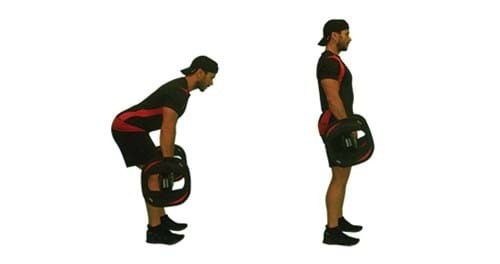 While there are different ways to deadlift (you can start standing upright and lower the bar to your knees, start with the bar on a rack and lift it up until you are standing upright, or even start with the bar on the ground), they all involve working all of the muscles of the posterior chain in unison. That means there’s hamstring involvement, the glutes are engaged, and you’re working the lower back muscles and the thoracic extensors too. With this one move you can strengthen all the muscles down the back of your body, build core strength and improve posture. And that’s not all. 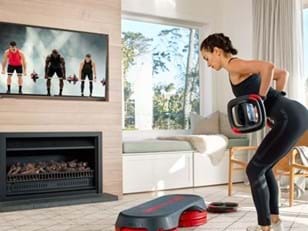 As the posterior chain is where your body’s drive comes from, strong posterior muscles can improve athleticism, which helps you to move faster during cardio training such as sprints. Where can deadlifts go wrong? The easiest way to ensure you engage this important part of the posterior chain is to turn your elbows to the rear and keep them there as you complete your deadlifts. You’ll notice that as soon as you turn your elbows to the rear you get a little chest lift. This brings your shoulder blades back in towards your spine, you contract your scapular retractor muscles, and the muscles of your thoracic spine come into play. If you hold that activation as you complete the deadlift you activate all the muscles that extend and stabilize your thoracic spine – and it makes your deadlift much more effective.